The men’s basketball team continues its winning streak with a nine point victory over Vassar College 78–69. Members of varsity and club teams have mixed feelings about having practice between 6 a.m. and 8 a.m. Junior point guard Carroll Rich talks about his role on the men’s basketball team. The team finished eighth in the Empire 8 Conference this season with a 9–16 overall record, including a 5–11 league record. The men’s basketball team defeats Hartwick College 92–77 Feb. 11 in Ben Light Gymnasium. Prior to the game, junior guard Marc Chasin was honored. The Ithaca College men’s basketball team suffered a loss to Stevens Institute of Technology 98–88, which puts them out of playoff contention. 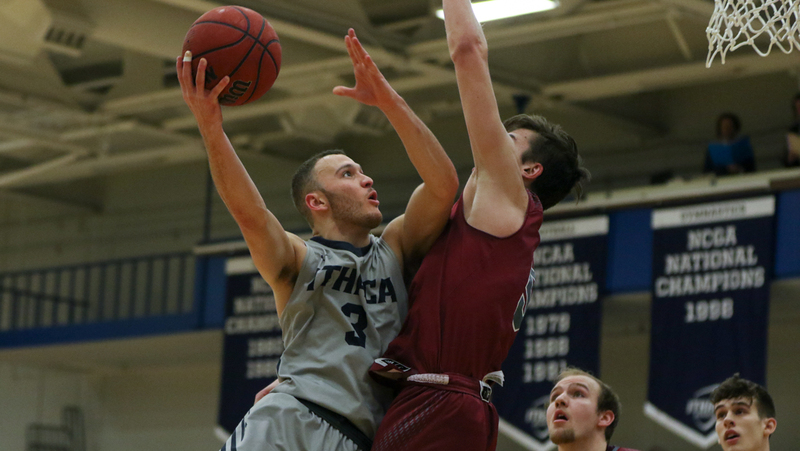 The Ithaca College men’s basketball team lost to the Utica College Pioneers 70–53 to make their record 6–11 and 2–6 in the Empire 8 Conference.